We are pleased to announce that Persepolis3D.com's virtual reconstruction of Persepolis is a part of the refurbished Ancient Iran Gallery at the British Museum. In Collaboration with the British Museum, we updated our virtual 3D model and made a 7-min. video of the virtual reconstructed Persepolis. The video shows not only the design of the urban planning of the terrace and its palaces but also reliefs of Apadana, Throne Hall and Tachara in their original architectural context from which plaster casts are also displayed in the Ancient Iran Gallery. 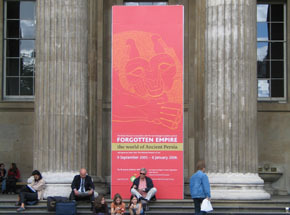 The British Museum reopened its Ancient Iran Gallery (Room 52) to the visitors in June 2007. 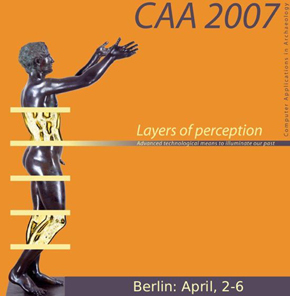 Persepolis3D.com held a presentation at the International Congress "CAA 2007” in Berlin, Germany. Our Presentation was part of the Workshop entitled Virtual Reconstruction and Visualization chaired by Prof. Dr. Jeffrey Clark of the North Dakota State University. “CAA is an international organization bringing together archaeologists, mathematics and computer scientists. Its aims are to encourage communication between these disciplines, to provide a survey of present work in the field and to stimulate discussion and future progress. The CAA conference started as a small annual conference at the University of Birmingham in 1973, followed for nearly twenty years by annually organized conferences at British universities. Conference attendance increased steadily over the years, with delegates from many European countries, North and South America, Japan, Australia and New Zealand. "Cultural Heritage and New Technologies"
Persepolis3D.com held a presentation at the 11th Annual International Congress "Cultural Heritage and New Technologies,” in Vienna, Austria. Our Presentation was part of the Workshop entitled How to publish “old” excavations with new technologies chaired by Prof. Dr. Samuel Paley of the University at Buffalo. “The Congress ‘Cultural Heritage and New Technologies’ is an initiative to establish a platform for experts to exchange information on the development of single-standard applications, to solve problems, and to intensify cooperation in this field. 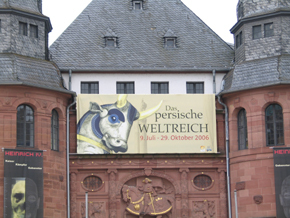 On July 8, 2006, the Historical Museum of Palatinate in Speyer, Germany, opened its highly anticipated Splendor and Grandeur of the Great Kings - The Persian Empire exhibition to its visitors. During the exhibition, in addition to archaeological findings and several artifacts that will be shown in Germany for the first time, the visitors will see the virtual reconstruction of Persepolis in an innovative format as they stand in the center of four screens created by persepolis3D.com. The museum is also displaying a column capital model of Apadana in 1:1 scale based on the reproduction plans of persepolis3D.com. With the collaboration of Mr. Shahrokh Razmjou, Head of Achaemenid Studies in Tehran, the persepolis3D team, the talented artist Mr. 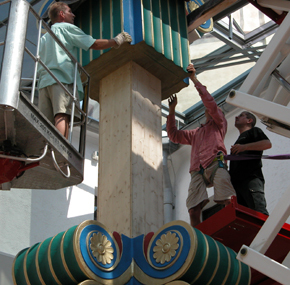 Beat Kuenzler, and the Historical Museum of Palatinate, this model was reconstructed to present for the first time the possible color schemes for the column capitals of Persepolis. With this work, the Historical Museum of Palatinate hopes to raise interest and support from the archaeological institutions in pursuing the research of the color schemes topic at Persepolis. According to Mr. Razmjou, "until now the subject of this research was not continuous. But pursuing and completing this research is very necessary in order to obtain final and honest results." The exhibition presents the wealth, prosperity, and culture of an empire that with its magnificence brought people together from various origins and cultures from the time of Cyrus the Great until Darius III. Because of its uniqueness in the German language world, “this exhibition will cause excitement in the landscape of German museums,” said Dr. Alexander Koch, Director of the Historical Museum of Palatinate in Speyer, during a press conference at the opening of the exhibition of The Persian Empire. Not only have the palaces at Persepolis been virtually reconstructed, but the presentation in the glamorous colors is surprising. “A personal wish has come true with this exhibition,” stated Koch while reflecting on three exhibitions that have opened within a short period of time which serve as evidence to his program planning: Heinrich IV, in connection with the city of Speyer; The Treasure of Barbarians of Neupotz, in connection with the region, and the Persians exhibition, in connection with the international realm. 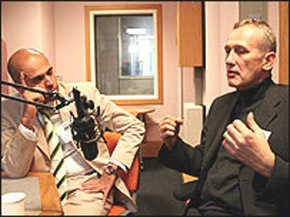 Two architects Wolfgang Gambke and Kourosh Afhami explained how they realized the extensive reconstruction of the palaces of Persepolis. A world that was lost thousands of years ago has been meticulously recreated step by step from photos and reconstruction drawings on computer. “This was like sculpting, but with a computer and a mouse,” described Gambke. “The progressive museum at the beginning of the 21st Century must use this modern method for presentations,” stated Afhami, who also complained about how the rulers in his Iranian homeland are purposely neglecting its cultural remains. We are honored and pleased to announce that on November 25, 2005, we will co-host a seminar with Emeritus Professor David Stronach of University of California, Berkeley, at the British Museum in London entitled, Perspectives on Persepolis . This event is organized by the Iran Heritage Foundation. In the context of the latest archaeological findings and debates on various issues such as succession and legitimacy, Prof. Stronach will discuss the "undetected historical messages " that can still be found in archaeological remains of Persepolis followed by Kourosh Afhami's lecture on virtual visualization of Persepolis based on Krefter’s work and architectural point of view. For more information, please visit http://www.iranheritage.com/perspectives . Film Project "Persepolis , Blick in ein Weltreich"
Using the methods of digitalization, the TV documentary "Persepolis " rebuilds Persepolis at the time of the Achaemenid Empire. 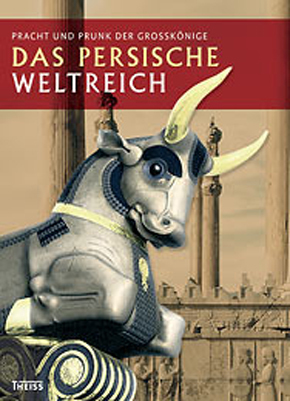 The film is about Persepolis and its reconstruction since the 1930's , when the first reconstruction of the "Harem" (the Museum today) was completed by Friedrich Krefter and Ernst Herzfeld based on archeological findings , until now, when architects Kourosh Afhami and Wolfgang Gambke use computer technology for its virtual reconstruction based primarily on Krefter’s work "Persepolis -Rekonstruktionen" and the documentation obtained from the excavations led by E.F. Schmidt along with their own recent onsite research results . In addition, this virtual reconstruction examines color schemes for the first time which may provide a forum for discussions . The film briefly explores the methodology of this digital reconstruction and its sources using novel pictures and HDTV technology to rebuild a possible version of the original Persepolis . In addition, it also presents the role of Persepolis in modern day Iran especially with respect to the Norouz celebrations . The date of release for viewing the film on ARTE Television is currently set for April, 2006. Please continue checking our website for the exact date of this television documentary along with information regarding the future release of its DVD/VHS copies for viewers . At the eDIT 8. 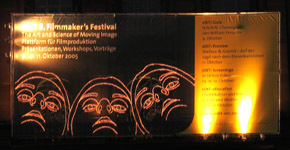 Filmmaker’s Festival held in Frankfurt, Germany, on October 9-11, 2005, virtual reconstruction clips from the upcoming TV documentary Persepolis by Goetz Balonier and produced by Hessischer Rundfunk (German Television) and ARTE were shown in HDTV format. Wolfgang Gambke of persepolis3D.com discussed the methodology of virtual visualization of architecture in relation to reconstructions of the ancient site of Persepolis . For more information, please visit www.edit-frankfurt.de/en/index.htm. The film Persepolis , a TV documentary by Goetz Balonier and produced by Hessischer Rundfunk (German Television) and ARTE, debuted at the British Museum in London during the World of Achaemenid Persia conference (September 29-October 1) co-sponsored by The Iran Heritage Foundation. During the conference, Kourosh Afhami, Wolfgang Gambke and Sheda Vasseghi conducted two presentations regarding our work on the persepolis3D project, the reconstruction methods of Persepolis using Krefter’s legacy, and the virtual visualization of Persepolis from an architectural view point. 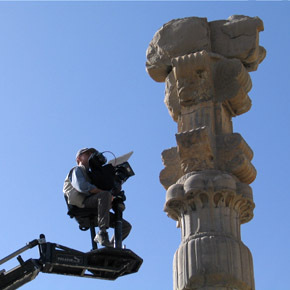 The production of a second long documentary movie of Persepolis using the art of digital visualization is a sign of its importance and interest in using the computer technology to bring ancient sites to life. In less than a year from introduction and release of the film Persepolis Recreated, another film about this historical ruin but still majestic from the ancient times has been brought to the movie screen. The film which is simply entitled Persepolis is the work of ARTE Television, a government-owned television station shared by Germany and France. Contrary to the film Persepolis Recreated produced by Farzin Rezaeian, Persepolis is a work by different authors . Kourosh Afhami says that about four years ago he and his German partner Wolfgang Gambke began the project of reconstructing Persepolis in its entirety. Two years later, they launched a website making their first graphics available to the public. At this time, Goetz Balonier from ARTE Television, who had a project regarding Persepolis at hand, discovered their work on the internet and contacted them for collaboration. The result of this collaboration in the form of a 60-minute movie was shown at the World of Achaemenid conference at the British Museum. It is a well-made movie with beautiful cinematography that contains 12 minutes of the Afhami-Gambke virtual reconstruction images . Both Kourosh Afhami and Wolfgang Gambke are experienced architects . As architects , they are familiar with digital modeling of buildings . But digital visualization of Persepolis which is a very ambitious project is their first project on ancient sites . Afhami has been researching Persepolis for 20 years and in this project, he brings his indepth knowledge of Persepolis while Gambke’s focus is mainly technical reconstruction. In the film Persepolis , they are responsible for the reconstruction and animations both inside and around the palaces of Persepolis . All the onsite areas in the film that change to animation were filmed with Gambke’s consultation. The reconstructions of Afhami-Gambke mainly rely on an architect’s point of view. Although Afhami has thoroughly researched the archeological records of Persepolis -- mainly according to German Near Eastern historians -- in reconstruction, they also used their own experience as architects to choose between contradicting versions when necessary. The film Persepolis is seen from a social and an architectural point of view that is contrary to the Persepolis Recreated film which mostly leans on interviews with archaeologists . Afhami-Gambke has a understanding of Persepolis which leans more on an architectural rather than archaeological point of view. They bring this topic to light which is obvious , yet rarely discussed, that compares Persepolis to previous buildings before its time in an interpretation from an architectural point of view. At a glance, Persepolis has many similarities to the architecture of Babylonia and Assyria. The same people, soldiers , kings with the same long beards and sitting style on the throne or wearing ornamental jewels ; the same structures and familiar engravings prior to the Achaemenids . He sees this peace as the spirit of the architecture of Persepolis -- it’s a peace symbolic of brotherhood that is clearly obvious in the hands that hold flowers or rest on the shoulders of companions or hold hands in friendship. During his presentation at the World of Achaemenid conference, Afhami categorized Persepolis as one of the Ancient Wonders of the World. But what was in this architecture that should place it among the ancient wonders ? But were there any influences from this architecture that were passed on to subsequent Iranian architecture? That sense of spirituality and peace further supports the idea that Persepolis was a spiritual place rather than a political place or acted as a capital for the Achaemenids . Shahrokh Razmjou, a young Iranian archaeologist whose work and opinions are also introduced in the film Persepolis , showed rather skillfully that there may be different interpretations of the buildings in Persepolis . He believes that the buildings in Persepolis are not royal palaces as they have typically been represented, and therefore, it is incorrect to consider them as royal residences . He too believes that Persepolis was a spiritual place. In his opinion, the spirit of happiness and calmness at Persepolis is more prominent than anything else. According to him, happiness was one of the basic Achaemenid beliefs because it was also the Fourth Creation from the Creations of Ahura Mazda. He believes Persepolis was to transmit happiness and peace that in its own way was a sign of a power that was established and stable and confident. Razmjou believes that in reconstruction of Persepolis , there is a need for collaboration with experienced architects who are familiar with ancient art and archeology. He said that so far such an ideal partnership has not been achieved. His recommendation for reconstructing Persepolis is that there should be a conference during which different views can be analyzed and discussed such as the way the windows were built and the use of color schemes . Color scheme was one of the areas in question for the Afhami-Gambke work. Dr. Ehsan Yarshater believed the colors were too bright. Many others were in agreement with him. Also the topic of proportions was an issue that was brought up by Muhammad Hassan Talebian, the head of the Pasagadae project. The Afhami-Gambke work is still a work in progress . They say the images and animations put in the film Persepolis was not the end of their work, and they are continuing with the completion of the visualization of Persepolis and will regularly update their website with images and one-minute video clips . Although Persepolis Recreated moves towards creating an atmosphere and for its story uses the dramatic and epic elements , Persepolis is based on architecture without dramatic elements . If Farzin Rezaeian’s work continues , it can be in the form of a fully-digitalized movie that shows the life of the kings and nobles of Achaemenids and the various celebrations that were held at this spiritual site. 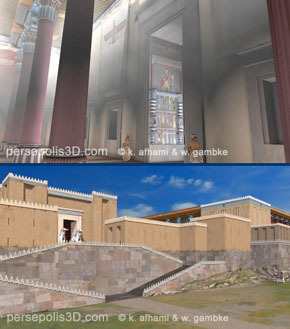 But the Afhami-Gambke work is based on an obsession for architectural precision in virtual reconstructions of Persepolis with a unique insight regarding the importance of the spirituality of Persepolis . It seems that future work cannot be without this attention to detail – so that each palace is reconstructed according to its own facts -- or without dramatic elements . The life that was in Persepolis and its subsequent destruction are worthy of amazing theatrics . In comparing the two films , Shahrokh Razmjou says that Persepolis Recreated showed the grandeur of the Achaemenids and Persepolis had a poetic and spiritual sense. Undoubtedly, reality was a combination of the two. This film will be shown in French and German on ARTE Television in the month of January, 2006.